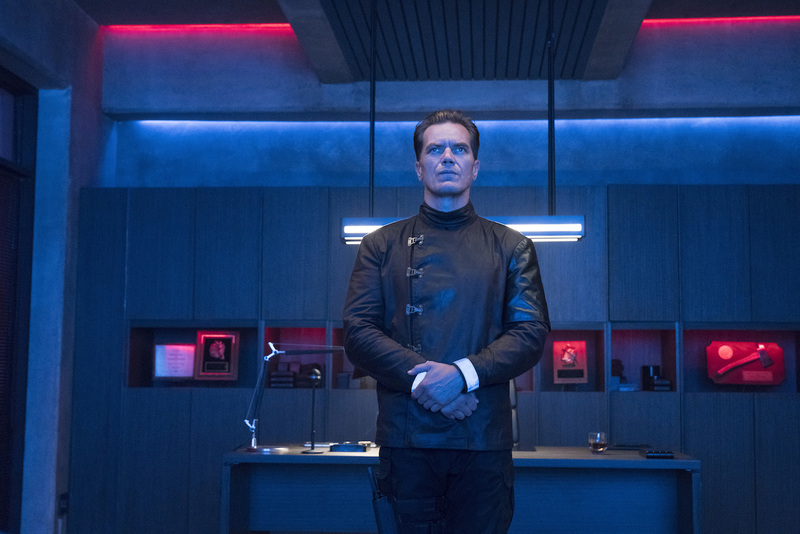 HBO's 'Fahrenheit 451' review: Upgraded, meaningful, and more important than ever – AiPT! 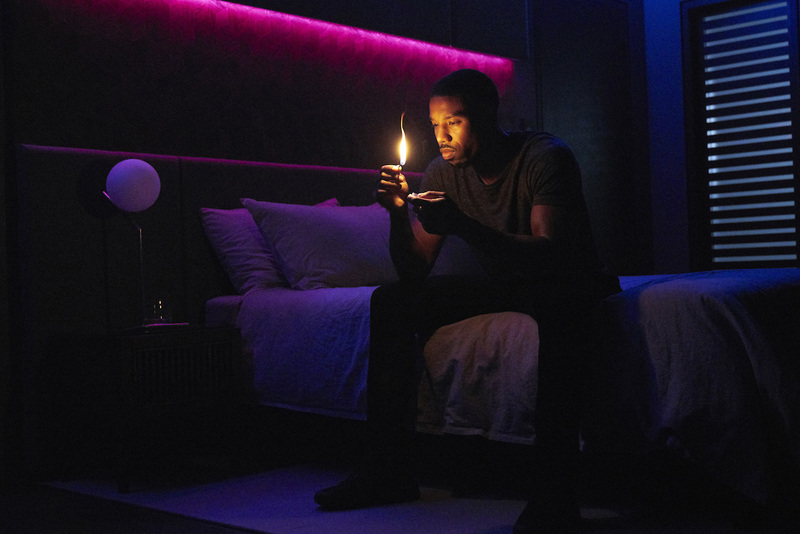 ‘Fahrenheit 451’ gets updated for with some slick modern visuals with a story that remains as important as ever. Fahrenheit 451 is a story that will be timeless — that is, until the day all books are burned and the information is locked away. It feels like every year we get a little closer to this dystopian future, but thankfully democracy has kept it at bay. This new adaptation from director Ramin Bahrani and starring Michael B. Jordan attempts to modernize the story without losing sight of the deeper meaning. It accomplishes this at a time when the story is more important than ever. We’re currently living in an age where half the country thinks the factual news is fake, calling into question the very fabric of reality. It seems like every day some politician or pundit is attempting to subvert the truth and champion information that’s suspect at best. It’s probably a big reason why HBO has created a brand new adaptation of Ray Bradbury’s Fahrenheit 451. Originally adapted to film in 1966, a 451 reboot is well timed. This film will make you think about facts, fake news, and authoritarian control, which is a big reason why material like this never dies. It’s also a major factor in how much you’ll enjoy this science fiction film that seemingly gets closer to becoming a reality than we might want to admit. Jordan does an excellent job playing the part of Guy Montag as a seemingly in-control but somewhat naive character. He’s one of the youngest firemen tasked with burning books to keep the people happy and placated. Due to his age, he has the most potential to take the firemen into a new era where books no longer exist. Michael Shannon plays Beatty, his superior and semi-father figure. Beatty wants Montag to be the future of firemen and sees himself in him, for better or worse. As the story progresses we learn their relationship is a bit more complex as they navigate a world where old ideas are dangerous. Shannon gives Beatty just enough humanity for viewers to care about him, but he also does a good job playing the somewhat evil psychotic we’ve seen him play time and time again. He’s not quite as unhinged as his character is in The Shape of Water, but he’s certainly lost a few screws burning books over the years. Bahrani, who worked with Michael Shannon on 99 Homes, does a good job establishing the danger of a culture that burns books and controls information. Bahrani co-wrote this script with Amir Naderi and together they add new scenes the original novel did not have to connect the narrative to language used today and modernize the story. In one such scene, Beatty explains to his troops a new danger facing the firemen that can’t be burned and may be a reality soon. It will contain the “collective consciousness of mankind, it’ll be every book” and that, “news, memoirs, facts, it will be a trillion person-years of graffiti.” Some might say that’s a good thing, but in a world where a few control the masses, it is their downfall. There are also racial elements introduced that add an interesting cultural layer to the subversion of history and facts. Prior to a burning, Montag and Beatty marvel at the number of books hidden away. Books like Native Son and Huckleberry Finn are brought up as banned because they offended white people and black people. There’s a touch of reflection from Michael B. Jordan’s Montag, as if he’s aware not reading books like those may hinder his own understanding of his race. We see the control over the people in a few ways Ray Bradbury couldn’t have foreseen when he published Fahrenheit 451 in 1953. In an opening scene, for instance, Montag catches up on social media he missed via his bathroom mirror. We quickly learn people mostly communicate with simplistic emoji, and that Montag is a bit of a celebrity. Later we see Montag relish the spotlight as viewers shower him with smiley emoji, but it’s meaningless. He lives a cold, isolated life with his only companion a home assistant that hangs from the ceiling called Yuxie. Later we see entire skyscrapers are covered in emoji as Montag is broadcasted across buildings to show the public the latest burnings. This is where the film looks the most futuristic — much of the film looks about as normal as any location today, save for some well-placed futuristic looking lights. Speaking of color, the cinematography from Kramer Morgenthau along with the use of color is excellent. Scenes may take place in average looking locations, but the use of color in the scenes adds a depth to the scenes. The biggest weakness of the film may be the love story between Montag and Clarisse (played by Sofia Boutella). They seemingly fall for each other out of convenience to the plot so Montag has emotional stakes in trading the fireman’s world for those who believe in preserving knowledge. They never have a deeply meaningful scene together, and maybe it’s supposed to be a fling anyway, but it doesn’t add much to the story. Considering Montag is juggling memories of his father, love for his pseudo-father Beatty, and the understanding that he’s been burning great works people have devoted their lives to, the relationship is unnecessary. The production values are good, but not quite feature film worthy, which makes the overall production more of a made-for-TV experience. There are certainly some impressive special effects in the film, but it never opens up beyond the character drama or plays around with futuristic technology. The story has always been psychological, of course, but it lacks the spectacle of most modern science fiction films. HBO has not only pulled off an entertaining film, but delivered one that has deep meaning now more than ever. It’s a film about being empowered by knowledge and using it to understand for yourself what truth lies hidden. It also features great acting and a visual motif that’ll reach more people than ever, especially in a society where reading books is more rare than anyone cares to admit. A strong adaptation that adds social media and modern technological advancements to the narrative in creative ways.